Ja, ich weiß, so früh will keiner etwas von Weihnachten hören. Und bis zum Winter dauerts auch noch ganz lang, versprochen! Herausgekommen sind jetzt erstmal zwei Sets – jedes in verschiedenen Varianten, (ich kann mich ja doch nicht entscheiden), wobei es mich schon wieder in den Fingern juckt, morgen noch meine ganz persönlichen ‚die-hab-ich-mir-aufgehoben-weil-sie-mir-am-allerbesten-gefallen‘ bunt lackierten Weihnachtsbaumholzmännchen zu fotografieren.. Yes, I know, no one wants to hear something about christmas yet. And I promise, that there are many, many days left until winter! But as a seller – which I am – you always have to think about the next season to make sure to have the right articles in time. That’s never a problem with my jewelry, but with my latest project – the cards ant photographies – I needed to think about christmasmotives. 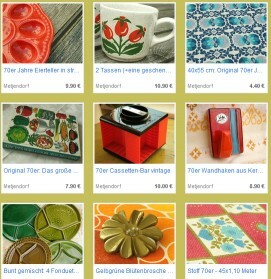 Not that I thought I would necessarily need some – but when I saw the old photos for my vintageshop I suddenly wanted to design some. The old christmas stuff, especially the old, beautiful coloured crystal balls and different little pendants, suited so well for me, and I directly started my work. And like always the results are different versions, and also like always it’s impossible to make a decision..
As a start there are two different sets (the red deer and the colourful crystal balls), each of them in different versions (yes, no, I cant’t make a decision). And I’m already thinking about photographing my own ‚I-liked-them-the-most-and-didn’t-want-to-sell-them‘ little figures, made from wood, tomorrow ..